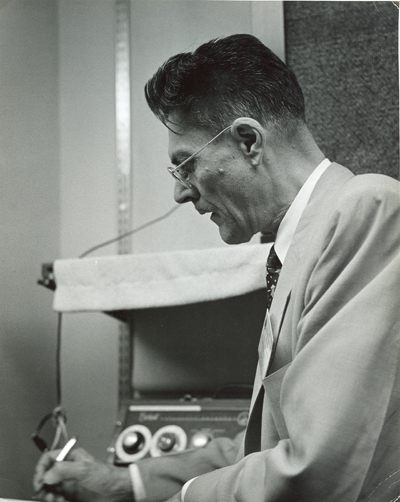 Paul Klipsch was a prolific writer. Over 50 papers were published in various engineering and consumer journals. Many more remain unpublished or in draft form. To avoid copyright issues, we have supplied a bibliography as a point of departure for the student. Most of these papers can be found on-line at the individual publications (sometimes with a fee). Even some of the defunct publications can be found with some added “Google effort”. This list is undoubtedly incomplete and surely contains typos. Your corrections and additions would be most welcome. We are posting several of his unpublished papers in their “raw draft” form. They come in “serious” as well as “tongue-in-cheek” varieties. Also posted are scans of many of the printing plates used to print the published papers (Paul saved everything).